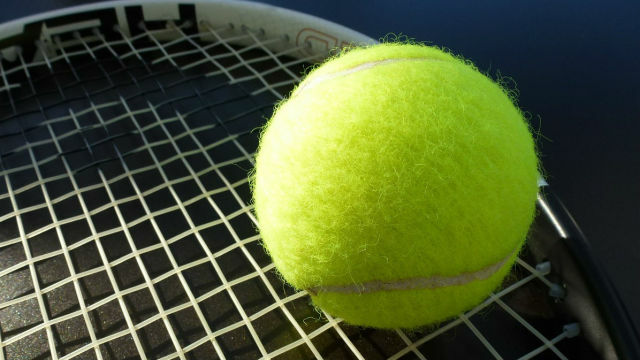 The Orange County Breakers defeated the San Diego Aviators, 22-20, at Breakers Stadium at Newport Beach Tennis Club as World TeamTennis returned to Orange County after a two-year absence. In what is expected to be his only match of the season, Steve Johnson assured the Breakers of the victory by winning the final set, men’s singles, 5- 4, over Ryan Harrison Monday. Johnson, who will represent the U.S. in the Olympics, won two NCAA singles championships while playing for USC and two Southern Section singles titles while playing for Orange High School. The Breakers (1-1) won the opening two sets. Scott Lipsky, an Irvine resident, teamed with Alla Kudryavtseva for a 5-2 mixed doubles victory over Raven Klaasen and Darija Jurak. Nicole Gibbs defeated Shelby Rogers, 5-4, in women’s singles. The Breakers lost the next two sets. Johnson and Lipsky lost to Harrison and Klaasen, 5-3, in men’s doubles. Gibbs and Kudryavtseva lost to Jurak and Rogers, 5-4, in women’s doubles, cutting the Breakers lead to 17-16 entering the final set. Tonight’s match was the second of four between the two teams in a four- day span. The Aviators and Breakers will also play at the Omni La Costa Resort & Spa Tuesday and at Breakers Stadium Wednesday. The Aviators won, 20-19, Sunday at the Omni La Costa Resort & Spa. World TeamTennis matches consist of one set each of men’s and women’s singles, men’s and women’s doubles and mixed doubles, with the team winning the most games winning the match. 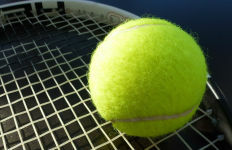 The league began play in 1974, with International Tennis Hall of Fame member Billie Jean King and former Buena Park Mayor Dennis Murphy among its co- founders. WTT suspended play following the 1978 season, then resumed play in 1981. The Breakers were formed in 2003 as the Newport Beach Breakers and renamed as the Orange County Breakers for the 2012 season, when they began playing at UC Irvine’s Bren Center. The Breakers were owned by the league and available for purchase following the 2013 season. They were bought in November 2013 by Lorne Abony, who had been seeking a WTT team for Austin, Texas, where he lived, and he moved the Breakers to the Texas capital, renaming them as the Austin Aces, according to general manager Allen Hardison. Abony, who “has a lot of business ties in California” felt “the best decision was to bring the team back to Orange County,” Hardison told City News Service.